These small plastic parts chest are not just for nails and screws! (As you can see in our Craft Room Organization Ideas.) 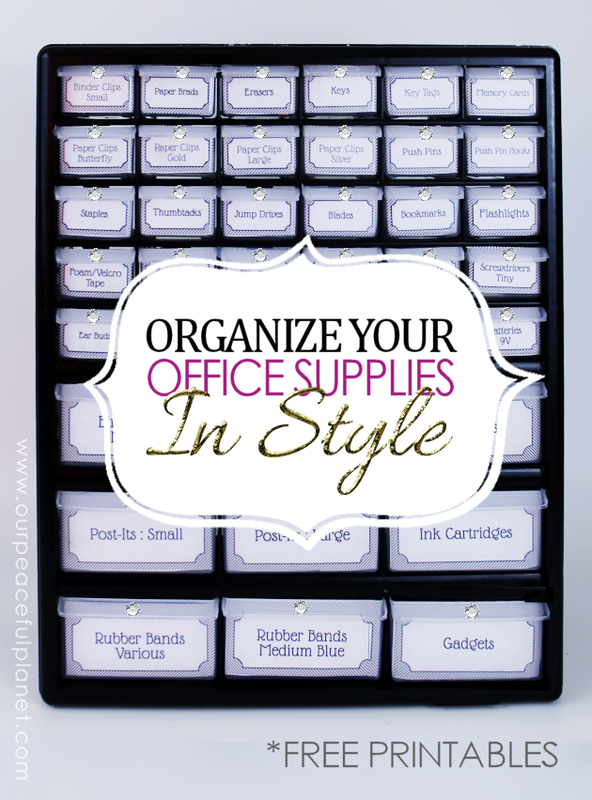 With a little paint, labels and some bling, you can transform them into a classy and stylish way to organize office supplies. We’ve got printable standard drawer size labels you can use for your own cabinets if desired. Your office supplies never looked so good! You’re very welcome Ashley! Good luck! Great idea! I have so many odds and ends to organize in my home office! Thanks for sharing this idea at Motivation Monday at Mom Home Guide! It was picked as a feature this week! Love this idea. Congrats on your #HappinessisHomemade feature. Thank you so much Christine! I’m always honored to be chosen. Ü I’ll be at the party as always! lol! Glad you like it Jocie! Thanks for the free labels! I love the addition of the little gems to glam it up! I am so going to do this with my craft room supplies too! You’re so very welcome Joanne. Glad you found it helpful! Are you the only one that touches the office supplies or does the rest of your family have access? Do they put things back where they belong? I can see my self putting up a sign like you see in the library, “put unshelved office supplies here” and then put them away myself, LOL! Great idea! SO awesome. 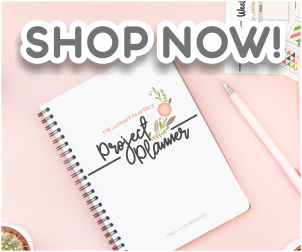 I have a bit of an office supplies obsession, so I know my husband would really appreciate getting rid of all the packaging and junk laying around! lol! Well this should work great for you then Morgan! What a great idea! It looks great! Perfect size, it doesn’t take up much space and keeps everything in place. Love it! Great idea! I’m sharing with my sister, who needs some major office org help!! Visiting from What to do Weekends party.